SEOUL -- Hyundai Motor Co. raised quarterly profit 46 percent as sales climbed in China, Europe and the U.S. Buyers in its home market helped boost profit by purchasing more expensive models. Net income was 1.88 trillion won ($1.75 billion) in the three months ended March 31, compared with a revised 1.28 trillion won a year earlier, the company said in a regulatory filing today. First-quarter sales gained 21 percent to 18.23 trillion won on a consolidated basis, it said. Hyundai Motor lifted global sales by about 9 percent last quarter from a year earlier after adding new models including the Grandeur premium sedan at home and Accent small car in China since late 2010. The carmaker may continue to gain sales this year as Toyota Motor Corp. and other Japanese rivals curtail production following a record earthquake in March. "Hyundai's showing strong earnings momentum on new models and improved quality," said Lim Jeong Seok, head of equity at KDB Asset Management Co. "I expect the trend will continue for the next two to three years, leveling up the stock performance, too." Operating profit, or sales minus the costs of goods sold and administrative expenses, rose 46 percent from a year earlier to 1.83 trillion won. The maker of the Sonata sedan and Elantra small car sold 922,000 units in the January to March period, 9 percent more than a year earlier, according to company data. Sales from overseas factories increased 14 percent, while sales in the domestic market were little changed. Shipments from Chinese plants climbed 13 percent and jumped 23 percent at the U.S. plant, the data showed. 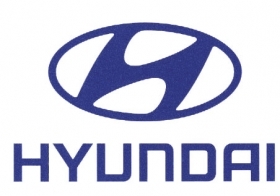 "Hyundai is charging higher prices to customers backed by better quality and brand perception," said Cho Soo Hong, an analyst at Woori Investment & Securities Co. in Seoul. "The rise in selling price and increased overseas production will more than compensate the negatives from a strengthening won on earnings." The company expects U.S. auto demand this year at 13 million units, compared with a previous forecast for 12.8 million, Chief Financial Officer Lee Won Hee said in a post-earnings briefing in Seoul today. The carmaker has no plans for a second plant in the country, he said. The won gained 5 percent this year, the best performer among Asia's 10 most actively traded currencies, excluding the yen, tracked by Bloomberg. A stronger local currency usually cuts the repatriated earnings from Hyundai's exports. Toyota, which may lose its top spot as the world's largest carmaker because of reduced output following the 9-magnitude quake and tsunami that struck Japan on March 11, estimated in April that it would need until at least November to return production to pre-quake volumes. Toyota on April 22 estimated it may lose production of 300,000 autos in Japan and 100,000 at plants abroad through the end of April because of quake-related shutdowns. In contrast, Hyundai and Kia are running their U.S. plants overtime, unscathed by parts shortages, the companies said earlier this month. "Chaos brings disorder and that's the time you see changes in ranks among leaders," said Lim at KDB Asset. "The past financial crisis and the recent earthquake may be an opportunity for Hyundai to pass bigger rivals."